I like to mix things up to keep weekday meals interesting. Taking one culture’s ingredients and combining it with cooking techniques and presentation of another culture’s dishes. This time, I am combining Cajun ingredients with a Mexican taco. I had decided to blend Cajun and Mexican cuisines to make chicken tacos. Tacos call for salsa. I decided to make a salsa out of the “holy trinity” of Louisiana cooking—bell peppers, celery, and onions. My wife, Jan, is reading the Longmire mystery series. In the final book, Longmire has biscuits and Andouille sausage gravy. My wife came to me and said, “Make this.” Fortunately, I had some sausages left over from Fat Tuesday’s red beans and rice. Eilene is having her horde of friends over for a Game of Thrones night. 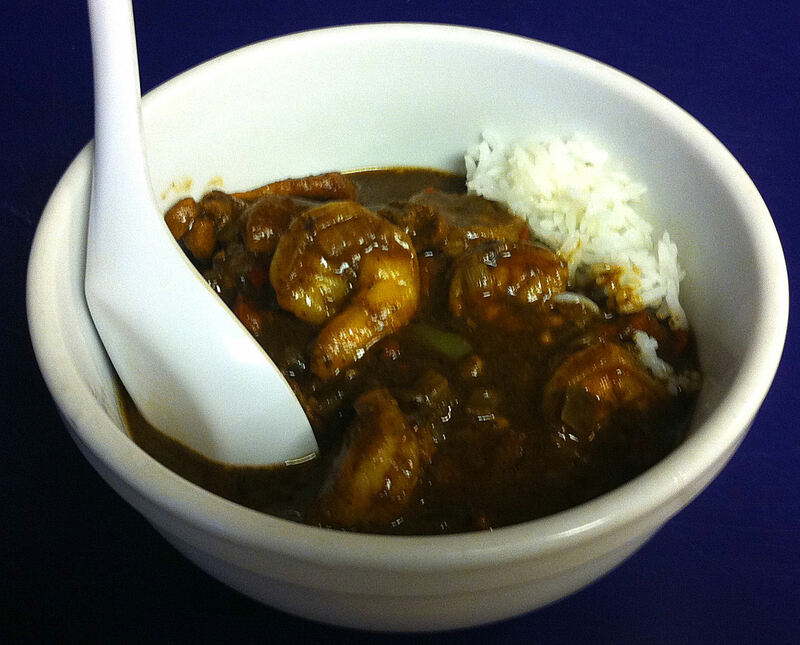 I thought I would go Cajun. 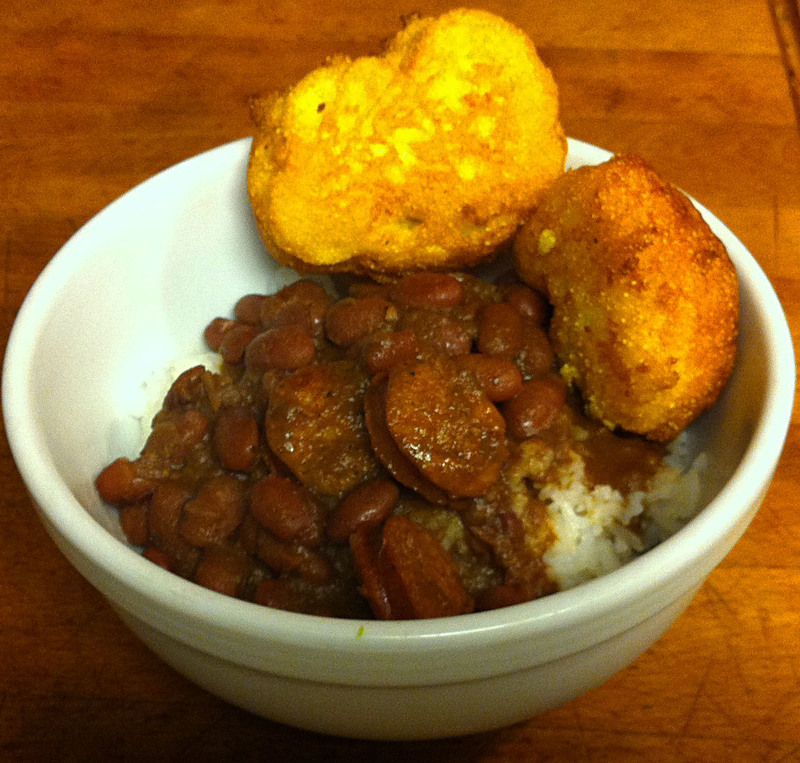 I lived in Louisiana for a couple of years and I have been craving red beans and rice with hushpuppies. 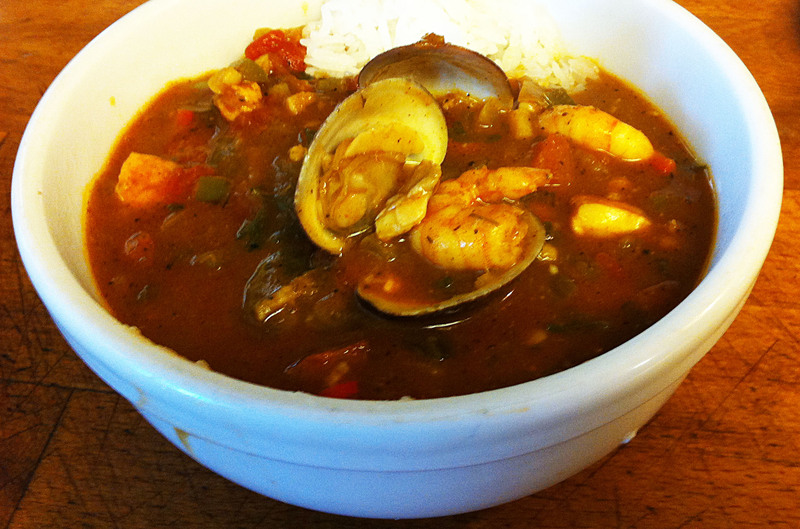 For this Sunday’s feast I am making Jambalaya. 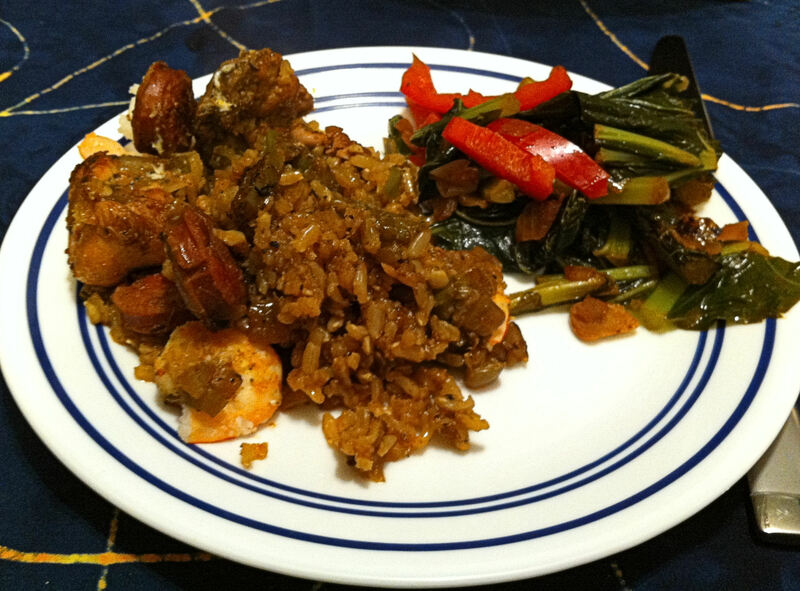 Jambalaya is really a one pot meal, but it is heavy on the meats and starch. I wanted a green vegetable side dish to balance out my meal. Jan and I are in complete agreement about okra. It may be one of the classic Cajun/Southern vegetables, but despite our Southern roots (Virginia and Mississippi) we both dislike it. 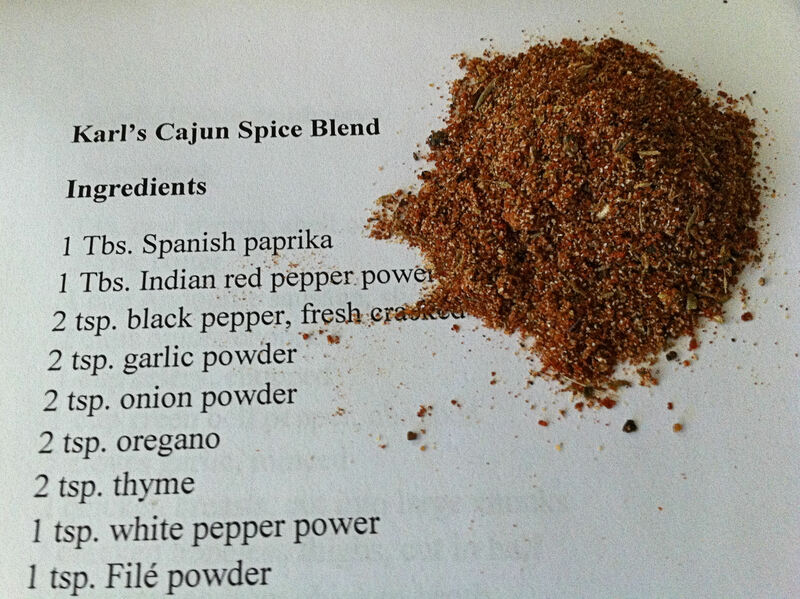 Many of the things calling themselves “Cajun vegetables” on the internet were just regular veggies with some Cajun spice thrown on top. 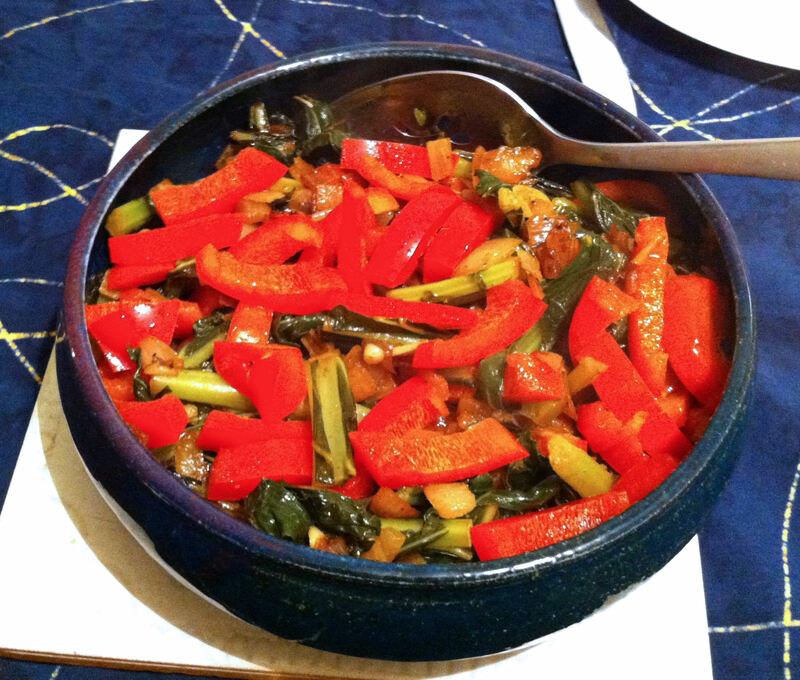 I finally decided on collard greens, another classic Southern vegetable. I would not, however be cooking it in the Southern fashion, the way our mothers did, boiling it down to a sludge. California-Style, braising until just tender, is my plan, with a little red pepper for color.